The Museum of Moscow is one of the oldest museums of the city. Its collection was established on the initiative of Russian scientific community in 1896. The Moscow City Duma gave it a large collection of exhibits. In the 20th century museum several times changed its name and location. In 1921 the museum was called Moscow Municipal Museum and was located in Sukharev Tower. In 1940 was renamed into the Museum of History and Reconstruction of Moscow. In 1987 the museum got its present name. The museum acquired more than one million articles depicting life in the city throughout its history, from Moscow’s ancient beginnings to the present day. This collection contains the archaeological finds, ancient tools, jewelry, bronze and stone items from most ancient period of Moscow history. There is a collection of maps and drafts which show how the city grew from year to year. Great number of photos recreate the important occasions, celebrations, and events of Moscow since middle of the 19th century to the present day. The museum holds original costumes, accessories, furniture and other everyday objects produced by talented Russian and European masters. The Museum of Moscow is about the city and its people. It was founded in 1896. Our unique collection boasts over 1 million artefacts. 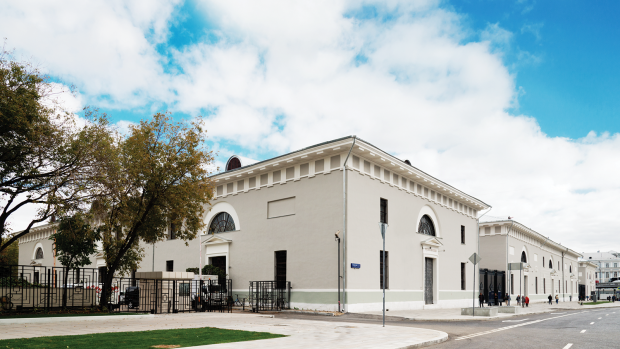 The Museum of Moscow located in the Provision Warehouse is a museum with a vast exposition space and a very diverse event schedule. We tell about history of Moscow and stay tuned for all things new in a modern metropolis. We connect the capital’s yesterday, today, and tomorrow, bringing together people from multiple backgrounds. The following museums — the Old English Court, the Archaeological Museum of Moscow, Lefortovo History Museum, and Gilyarovsky Center are also under the management of the Museum of Moscow.